This year we voted upon a change of our principles. In the future we can have our assemblies virtually. Due to the fact that we all live in different cities not a lot of members participated in our assemblies. With the virtual voting procedure we hope to include more members in our discussions and decisions again. Already an annual tradition that the locals look forward to, the events surrounding the Speech and Prize-Giving Day keep growing. This year, a reading contest and a workshop took place during the Fordjors’s four-day visit to Wurupong. The reading contest was organised with great enthusiasm by the teachers. In the preceding weeks, the three schools of Wurupong held preliminary rounds where the best two students of each age group made it to the finals. The finals took place in a church and the 24 students demonstrated their reading skills in front of their parents, classmates and other locals. 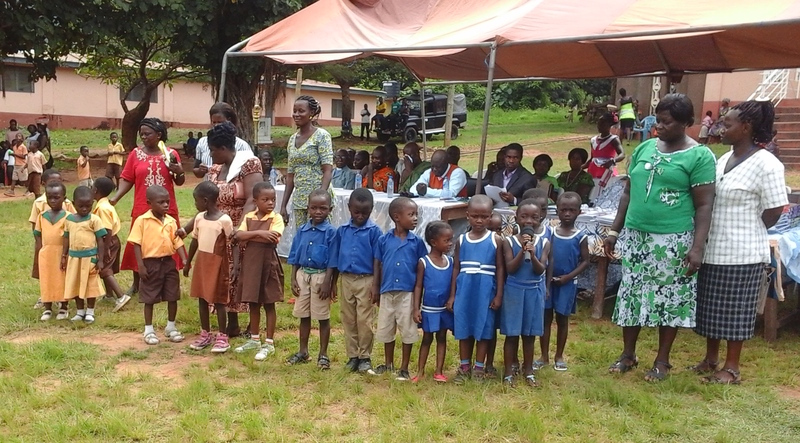 Together with the best of the class, they received their prizes on Speech and Prize-Giving Day. 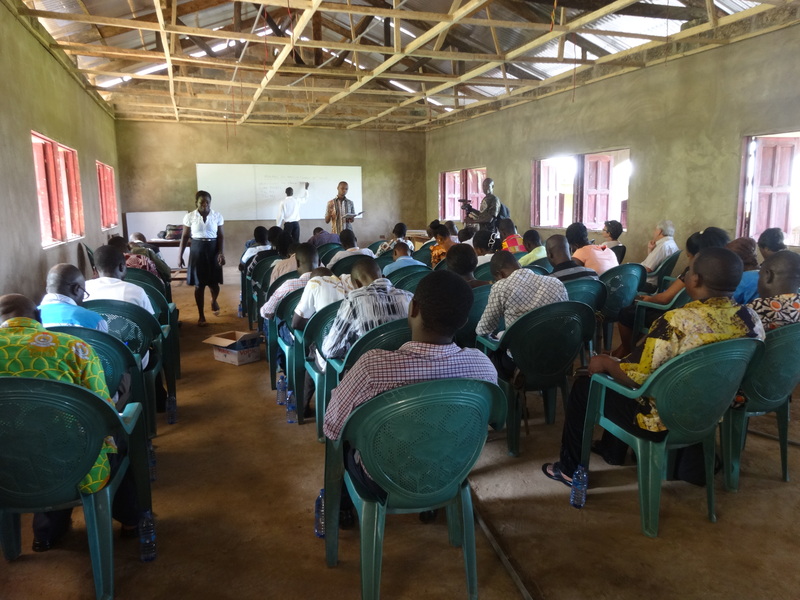 The ceremony saw another change; with the new government cutting school fees for secondary schools, the junior high school graduates have started to receive support aid for learning materials and living costs since the start of the year. The next day, Ingrid Fordjor held a workshop to teach junior high school students the right learning tools for success. On the final day, the Fordjors, together with the school committee and all the teachers, discussed the past and future projects. After that, they handed out boxes of books of primary school reading materials and books for English lessons for the junior high school. Overall, it is apparent that the schools and the school committee are increasingly taking more responsibility for the events. The approach of strengthening existing structures and sustainably improving the local situation is showing success. Together with experts the teachers discussed the best ways to provide the donated books to the students. An evaluation of this process will be done in October. In the newly introduced “Role Model Program” working professionals from Wurupong show the students what they can achieve through good education. The speaker of the first event was a nurse from one of the best hospitals in the country, Korle Bu Teaching Hospital Accra. The second role model was a lawyer. Additionally a teacher from the nearby city of Ho gave a presentation on the use of Maths in career and everyday life. At a five-day registration event in mid-November we managed to insure 500 children. In December and January we will insure 1,000 additional children. The trainers from the teacher college hosted a capacity building programme for the teachers of Wurupong on the best methods to teach Maths. 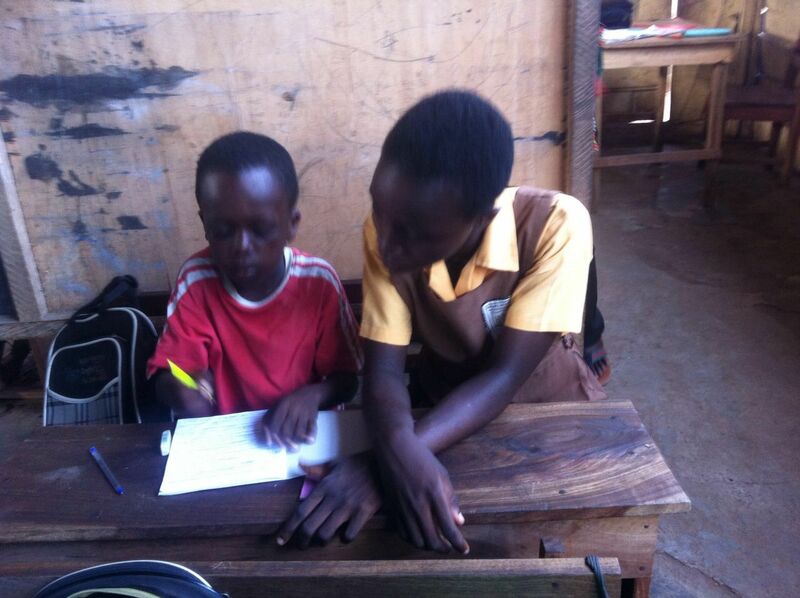 Our secretary Lisa Kappler visited Ghana to witness our current projects first-hands. 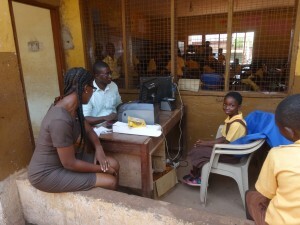 She participated in a teacher capacity building and the health insurance registration in Accra. As every year the best students of every class book and the best junior high school graduate received a scholarship for the secondary school. Successful graduates of the Wurupong schools share their experiences of success with the current students. They answer questions and help the students to find orientation and motivation for their professional career after graduation. The pupils are enjoying the holidays at the moment. Our community development project is also on a break. 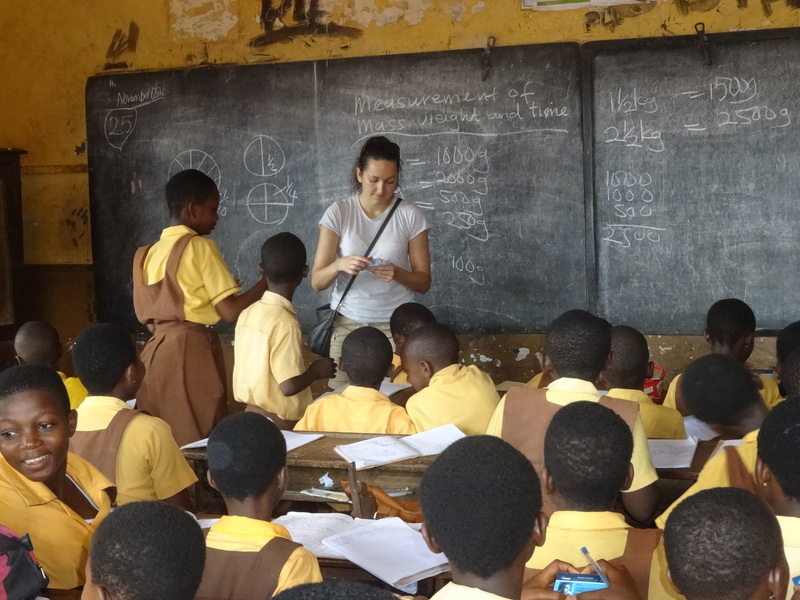 At the moment about 200 children and teenager are part of our evening classes in Maths, English and Science. We are currently working to increase that at the beginning of the next school year. 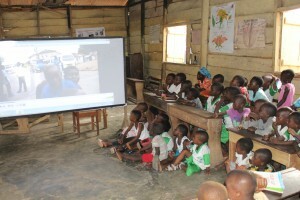 We bought a camera equipment and a projector for Ghana. Marcus films our projects and presents them to the people in the neighborhood. The children are very proud when they see their theater performances on the big screen; this increases their motivation. We recruit volunteers for our projects and the community learns about volunteer work. 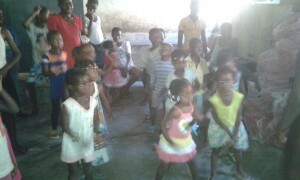 We started the evening classes in the underserved community of New Town. 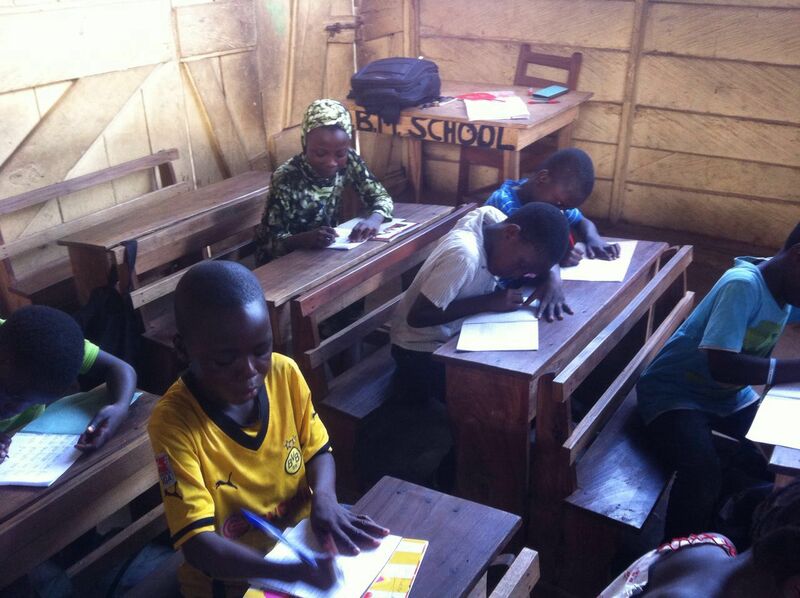 Currently 50 children receive extra classes in English, Maths and Science four evenings a week. 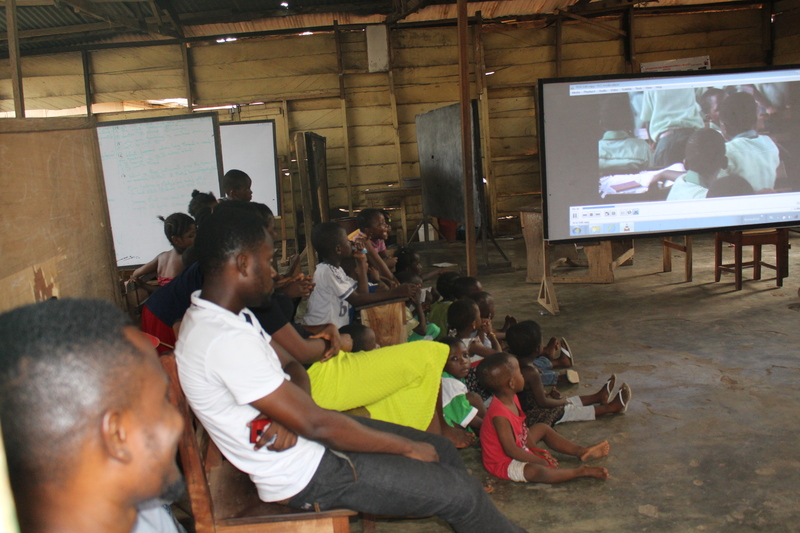 On Fridays and Saturdays they can enjoy our sports and theater projects. We want to gradually expand the project. 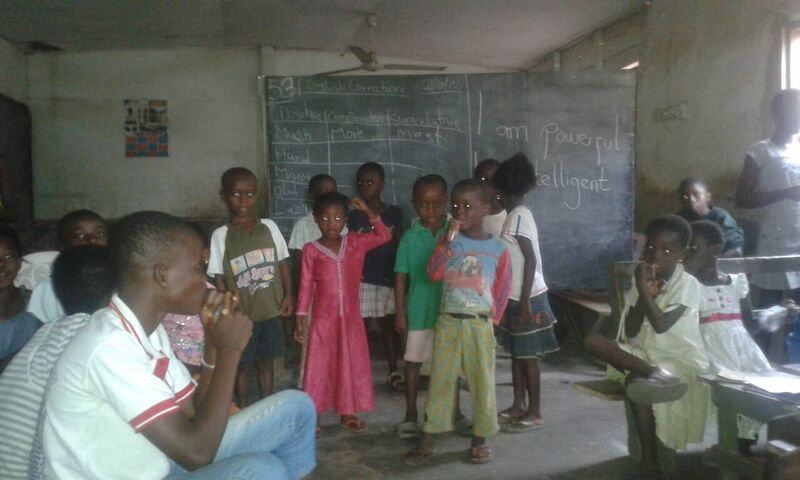 We extended our community development project to the rural town of Sefwi Bodi, which is located in the Western region close to the border with Ivory Coast. The people here live in poverty and sustain their living mostly with cocoa cultivation. Our project focuses on the two main challenges of the region: lack of education and the high number of teenage mothers. We offer evening classes for primary and secondary students. 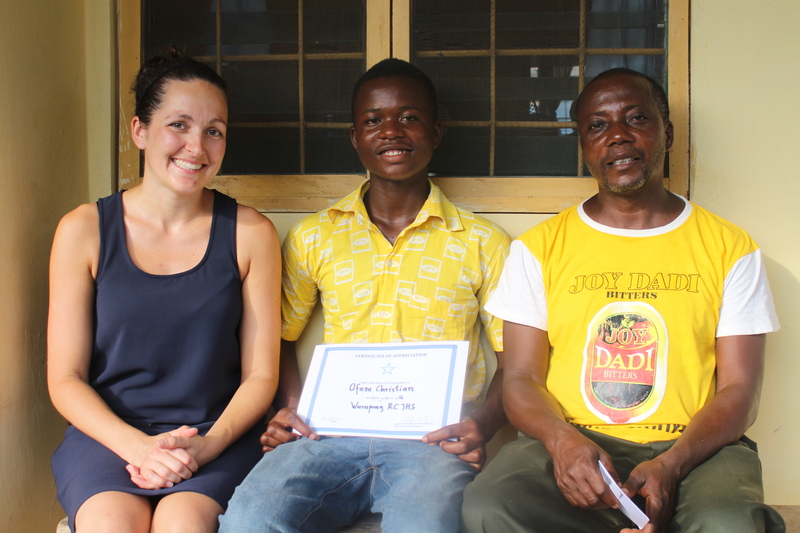 In addition, teenage mothers receive supplementary education while volunteers take care of their children. 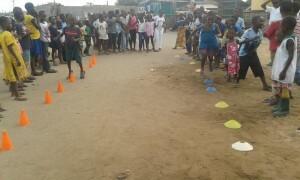 In our sports project we teach the children and teenagers important values such as fairness and team spirit. The project is supported by eight volunteers from Sefwi Bodi, who receive an incentive from us. This year’s Speech and Prize–Giving Day in Wurupong was a great success again. Like every year, the best student received book prizes and the best teachers clothing. We could not award the best students from the final year of junior high school yet. Nationwide manipulation of the final exams caused a delay of the results. For this reason, we also did not hand out the scholarship for the best graduate yet. 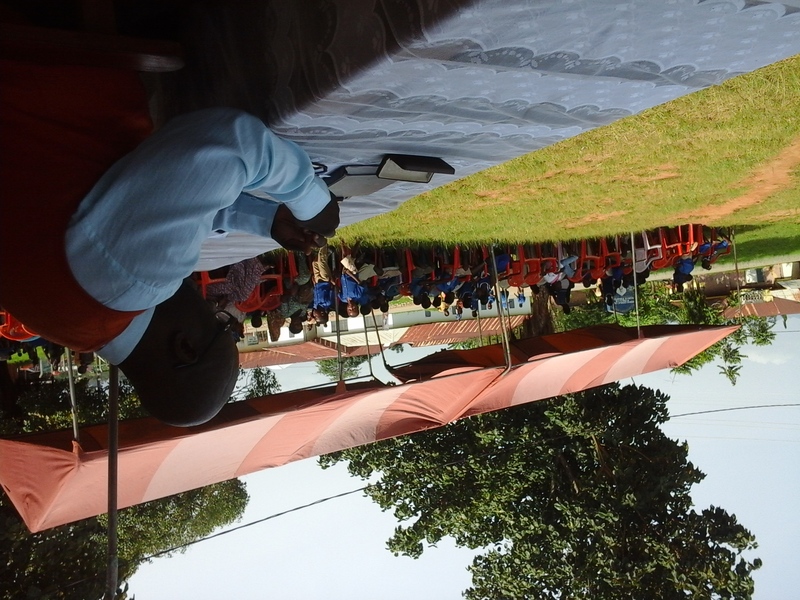 One day after the Speech and Prize–Giving Day our project partners Fordjor organised a teacher training on the topic “Continuous Assesment“. The teachers learnt strategies to recognise when students fall behind in the lessons, so that they can support these children better. This year we did not have any elections. So we focused on the discussion of our current and future projects. Over the summer holidays we organized extra classes for 70 pupils from the underserved community of Avenor, Ghana. 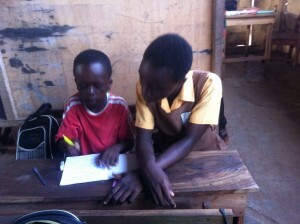 The pupils received lessons in English, Maths and Science four times a week, led by four secondary school graduates. On Fridays and Saturdays, the pupils had a chance to enjoy themselves in theater, poetry, sports and dance classes that are already running for several months. 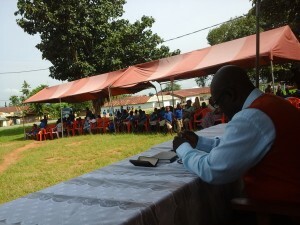 The program was very successful and received good feedback from the community. At the start of this year, teachers from the junior high school in Wurupong have been tasked to teach literature. They were not properly prepared for that. To solve this problem, we organised a one-day workshop and collaborated with teachers from the nearby Teacher College to lead the workshop. The workshop provided the junior high school teachers with an introduction to literature and learnt some basic teaching materials relevant for the subject. 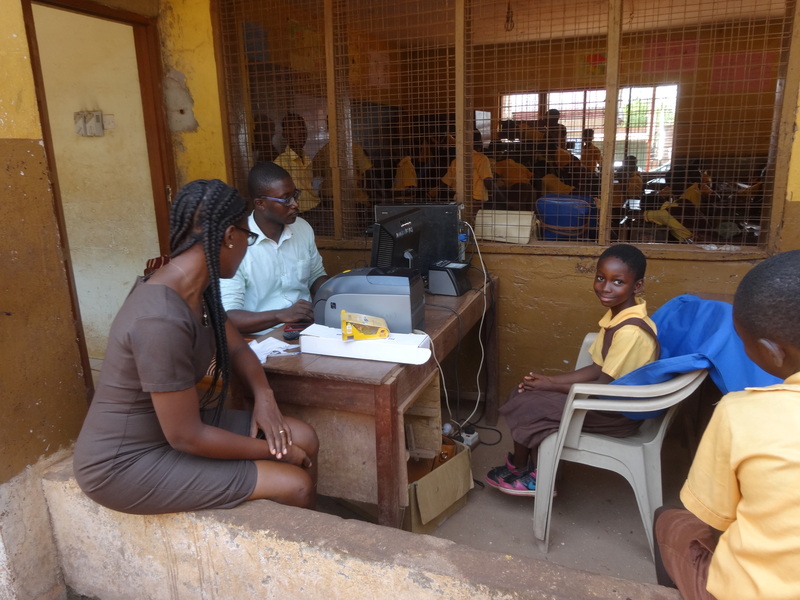 Together with the National Health Insurance Scheme, we organised a big health registration event directly in Avenor, an underserved community in Accra. This was the community’s first ever health registration event and it was a great success. 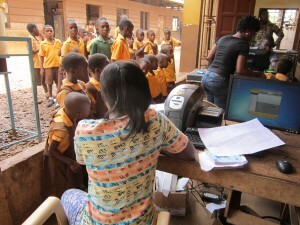 We managed to register 800 people, of which 600 were children. The registrants shared that the event location was very convenient as they didn’t need to worry about traveling stress. 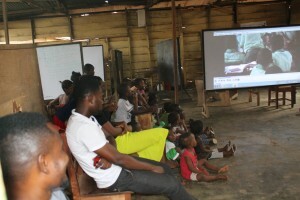 In a two-day capacity building “How to develop reading skills”, the primary school teacher of Wurupong learnt new techniques and also received a refresher course on already learned methods. The training was conducted by two professors from a nearby Teacher College. 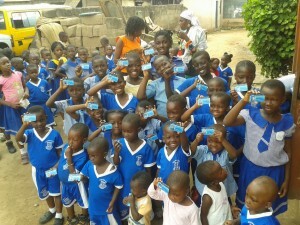 The aim was to encourage the love for reading in pupils. Our chairman Manuel Daubenberger organised a trip to Ghana to meet the local partners and to see first-hand the ongoing projects in the communities. Together with our local partners, he discussed opportunities for expansion and developing new projects. 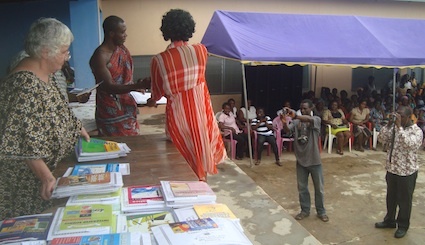 Again, the Speech and Prize-Giving Day was successful. For the first time we awarded a scholarship for the secondary school to the best students of the entrance examination. At the Annual Assembly, a new board was elected: Manuel Daubenberger will replace Steffen Mayer as chairman of the association, and Lisa Kappler will be the new secretary. In addition, members have unanimously amended the principles. 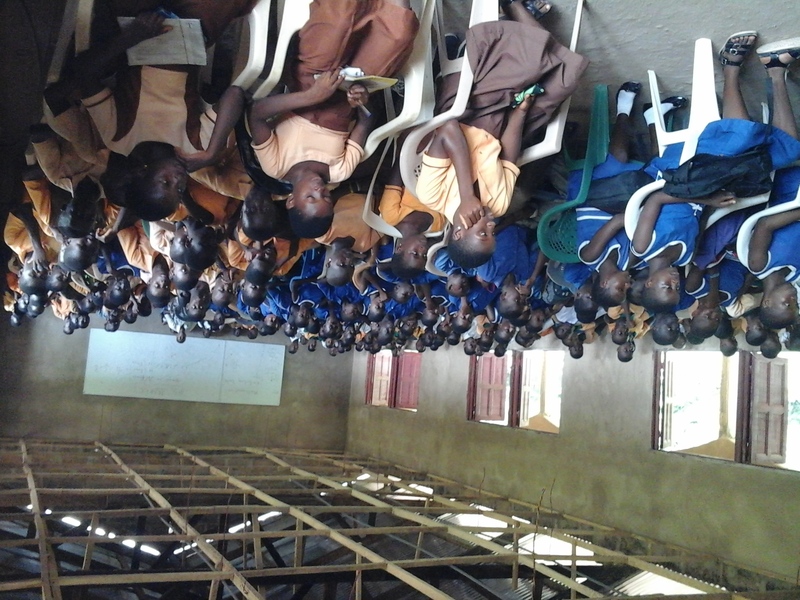 In future, we will be active in several places in Ghana and we have decided to expand our focus beyond the promotion of education. Together with our new partners, the Fordjors, we organized a Speech and Prize-Giving Day in the village of Wurupong. The best students and the best teachers of all three schools were awarded with books or clothes. 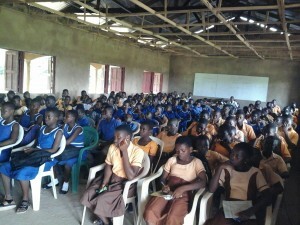 This ceremony has already proven itself in Ghana in other places to increase the appreciation of education. We also supported the schools with a donation of books to set up reading boxes.